A line-up of international experts explored how innovative thinking can do more for Scotland’s communities, during the W.E. Create 2019 International Innovation Conference in Glasgow. 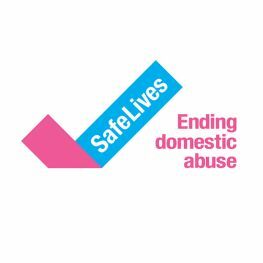 Organised by Wheatley Group – Scotland’s leading housing, care and property-management organisation – W.E. 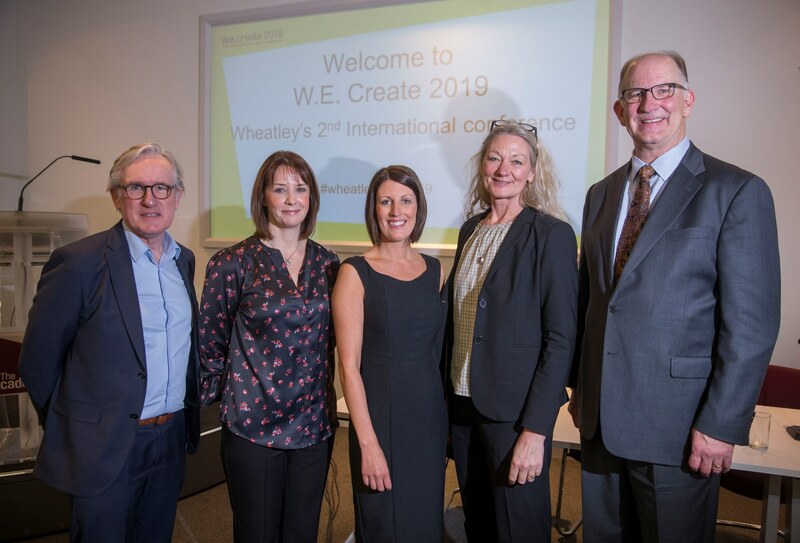 Create brought together international business experts, Wheatley Group’s leaders and a range of other delegates to explore Scotland’s culture of creative thinking. Speakers – hailing from Europe to the US – discussed how creativity and innovation can transform services, and included: Women in Business award winner, Angie Foreman, who directs the Coca-Cola 5b20 programme to support and empower women worldwide; Copenhagen’s chief architect Tina Saaby; Paul Grizell of Core Values Partners based in Minnesota; and Steve Rick, Senior Vice President (Systems and Transformation) at Menzies Aviation. Elaine Melrose, Group Director of Resources at Wheatley Group, said: “At Wheatley, we encourage and support people at every level of our organisation to have the confidence to develop great ideas that make a difference to our communities. W.E. Create allows us to share this passion with others, while stretching thinking and sparking wider discussions in our industry, and beyond, as we drive toward harnessing innovation to continue to redefine excellence. Angie Foreman added: “W.E. Create gives delegates the chance to meet like-minded business leaders and learn more about harnessing the power of creativity. The conference – delivered in partnership with Quality Scotland – included interactive sessions on topics including Intrapreneurship, Entrepreneurship, Excellence and Measuring Innovation. 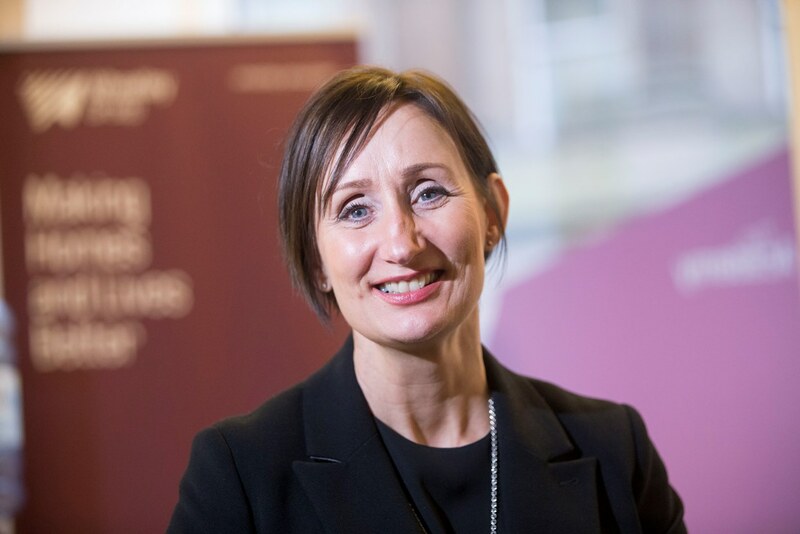 Quality Scotland Chief Executive Claire Ford said: “Quality Scotland is delighted to partner with Wheatley Group to deliver this Innovation Conference. “Innovation is increasingly at the core of excellent organisations and taking part is a fantastic opportunity for people to gain insights from international speakers. It shows how Wheatley Group is leading the way when it comes to innovation and creative thinking”. The W.E. Create International Innovation Conference was held at Wheatley House in Glasgow on 21 January 2019. Other speakers included: Steve McCreadie, CEO, The Lens; Steven Henderson, Wheatley Group Finance Director; and Mark Brown of the Dolphin Index. Pictured above: Speakers from the W.E. Create 2019 International Innovation Conference. Pictured above: Elaine Melrose, Group Director of Resources at Wheatley Group.